The hackers then turn, what researchers call, these "Internet of Unpatchable Things" into proxies for malicious traffic to attack internet-based targets and 'internet-facing' services, along with the internal networks that host them. Internet-connected Network Attached Storage (NAS) devices. Once hackers access the web administration console of vulnerable devices, it is possible for them to compromise the device's data and, in some cases, fully take over the affected machine. "We are entering a very interesting time when it comes to DDoS and other web attacks; 'The Internet of Unpatchable Things' so to speak," said Eric Kobrin, senior director of Akamai's Threat Research team. "New devices are being shipped from the factory not only with this vulnerability exposed but also without any effective way to fix it. We've been hearing for years that it was theoretically possible for IoT devices to attack. That, unfortunately, has now become the reality." 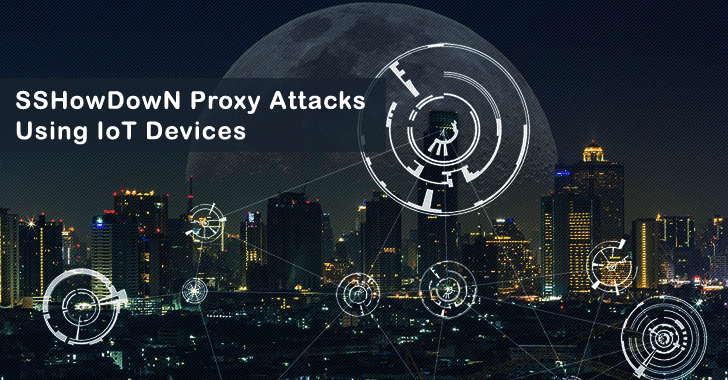 According to the company, at least 11 of Akamai's customers in industries such as financial services, retail, hospitality, and gaming have been targets of SSHowDowN Proxy attack.